How to Play PSP Games on Android Devices With PPSSPP Emulator? Why Android Enjoys a Lot of Popularity Over Any Other Mobile OS? You might be very well aware of the fact that you can download and use Whatsapp for PC as we have already shared a way to do that with you earlier. Now today we are going to share with you a way to use Whatsapp on your computer without using Bluestacks App player. We all know that we can run Android apps on computer by using the Android emulator softwares that are available on the Internet. One of the best emulator that helps you to run Android apps and games on your PC is Bluestacks. But there are certain things and configuration requirements that your computer should have to install Bluestacks. To install Bluestacks, your computer must have a good graphics card in your computer’s hardware. Not everyone has a graphics card equipped with a computer. So here is one simple way with which you can use Whatsapp for PC without using Bluestacks. Instead of that, we are going to use Wassapp to download and use Whatsapp on PC. 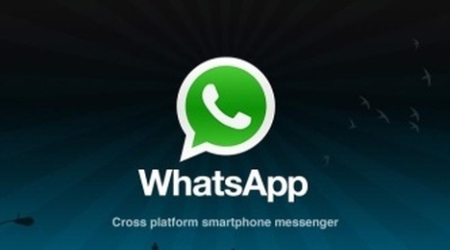 How to Use Whatsapp for PC Using Wassapp? Before going in the steps to start using Whatsapp on your computer using this new tool, Wassapp, let’s first see what Wassapp really is and how will it help you to enjoy your favorite chat app on your PC. Wassapp is basically a free tool but is an unofficial client of Whatsapp which you have to install on your Windows operated computer. The best part about it is that is a very light tool and doesn’t require you to have a graphic card or high RAM space to run the application, unlike Bluestacks. You can use all the features of Whatsapp. It is an unofficial client for Whatsapp messenger. No lagging and absolutely no hanging when using the app. The best part is that it is completely free to download. Once downloaded, install the tool on your computer. Next launch the software and you will see two options – Login and Register. If you are already a user of Whatsapp, then you only need to enter your mobile number and your password and the next screen you will see is chat screen and the contact list. If you have not used Whatsapp, then you need to create a new account to start using Whatsapp for PC. You need to create a new account from your mobile phone, if you haven’t already. That was it folks! You can now start using Whatsapp application on your computer without installing Bluestacks app player. Though this is an unofficial client for Whatsapp messenger, it is quite a nice tool to give a try. I hope that you might have found this tutorial on installing Whatsapp for PC without Bluestacks and I hope that now many more users will be able to use the chat app on their computer as not everyone has a high configuration computer that comes with a graphics card. If you liked the article about Whatsapp for PC, then please share it with your friends and let them know about it too. i cant login through wassup.aftr typing the phone no. nd password i tried to login,bt it says number or password is wrong. I am afraid that that is not possible. But you can buy a decent graphics card for your computer. It would be cheaper than buying an Android smartphone. Hope that helps! Can I use Whatsapp on pc at the same time on mobile? doesnt need graphic card jst go on google and type intel graphics driver n jst install it ..its will be working then…. I can use whatsapp without bluestacks? topic. I like aall thhe points you made. not working i cant login through wassup. after typing the phone no. and password i tried to login,but it says number or password is wrong. 1. In the back side of the phone, beneath the battery. 2. On the phone’s package.